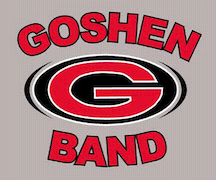 The Goshen Crimson Marching Band takes the field this Saturday, September 22nd at the Penn Carnival of Bands. They step onto the field at 8:13. Come on out and help the band load up on the trailer then head out to the performance.